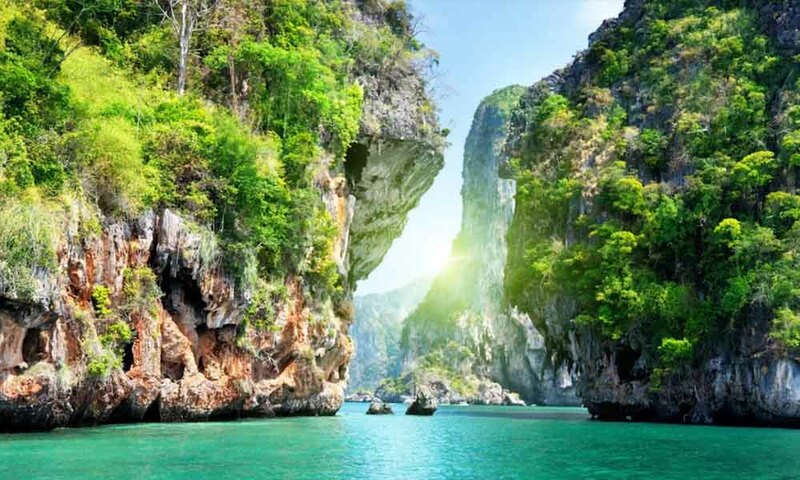 Our base in Thailand is located on the north eastern tip of the island of Phuket and is perfectly situated for exploring the sheltered emerald waters, majestic limestone cliffs and white sand beaches of the Phang-nga Bay islands and the Andaman Sea – Thailand’s reigning maritime jewel. From the base, you can visit the paradise Phi Phi islands for world-class snorkelling in the coral reefs and stop at the breathtaking Maya Beach – the set location made famous by cult classic film ‘The Beach’. Seafarers can also visit the unspoilt offshore marine preserves of the Similan and Surin islands .e.g Mu Koh Similan National Park, which are internationally famous as some of the world’s top diving sites. The area is tidal with a range of approximately 2-3.5m which creates swift tidal currents in narrow channels. Navigation is often line-of-sight. However, a careful eye on the chart and GPS is advised due to the numerous coral reefs. 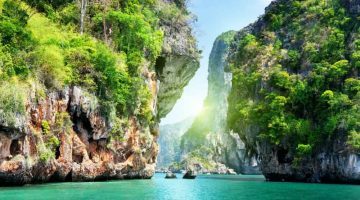 A Phuket sailing holiday is well within the reach of sailors confident in basic coastal navigation. 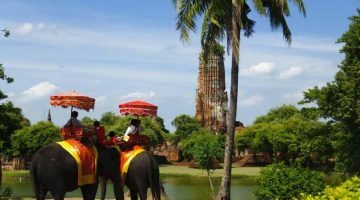 Thailand is suitable as a destination for sailing year-round, however, the ideal time to sail is during the North East monsoon season (a.k.a. the dry season) which runs from November to March. The weather is sunny and dry with calm seas, though the North East winds are ideal for sailing and keeping the climate comfortable. The wind speed during this time is between 5 and 20 knots from northeast. The temperatures range from 24-32°C making a Phuket sailing holiday a fantastic winter getaway. During the South West monsoon (ak.a. the rainy season) from April – October,there are South West winds of 5 to 30 knots though sailing is still sheltered in most of the cruising area. The rain showers are heavy but brief, falling heavier at the back end of the season, although, this means the area is less popular with tourists at this time and therefore quieter. The Surin, Similan Islands, and anchorages on the West coast of Phuket cannot be used during the rainy season. Night sailing is forbidden. 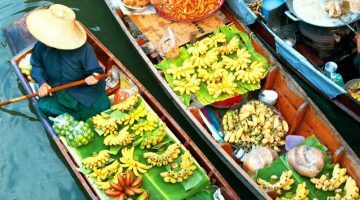 Whilst Bangkok tourism is often encapsulated by the notorious Khao San Road with its street food, entertainment and vibrant nightlife, the city has so much more to offer. 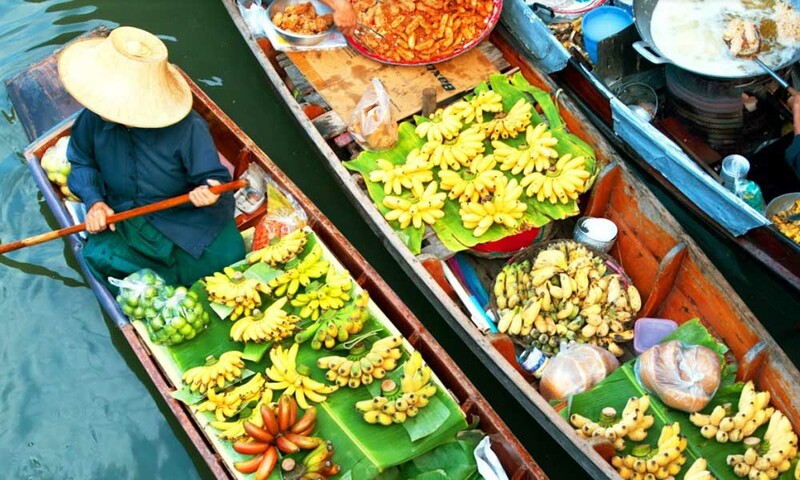 We recommend a visit to the infamous 100 year-old Damdeon floating markets and a trip to at least one of the many opulent Buddhist temples. 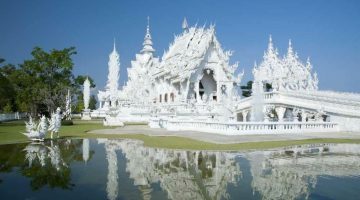 Phuket itself offers a fantastic range of nightlife and luxury resorts, in addition to its stunning beaches and abundance of diverse wildlife. With its art galleries, museums and unique blend of colonial and Chinese architecture, a trip to Phuket Old Town is not to be missed. 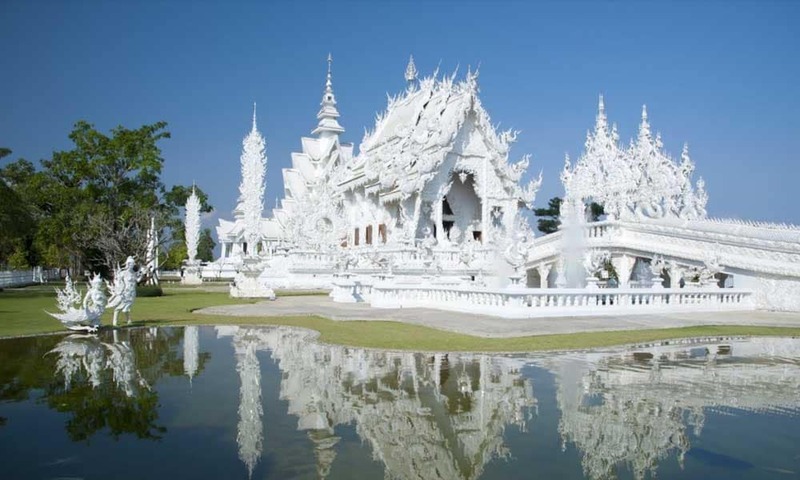 Fly UK to Phuket International airport and transfer to Phuket Yacht Haven marina for embarkation. Ko Yao Yai (20 nm) or ‘Big Long Island’ is lined with white sand beaches and thick with mangroves and coconut groves. Slow-paced and traditional, this island is one of the rare islands to have remained relatively undisturbed by tourism. Ko He (18 nm) known as ‘Coral Island’ for its coral reefs rich with marine life – ideal for snorkelling, diving and swimming. 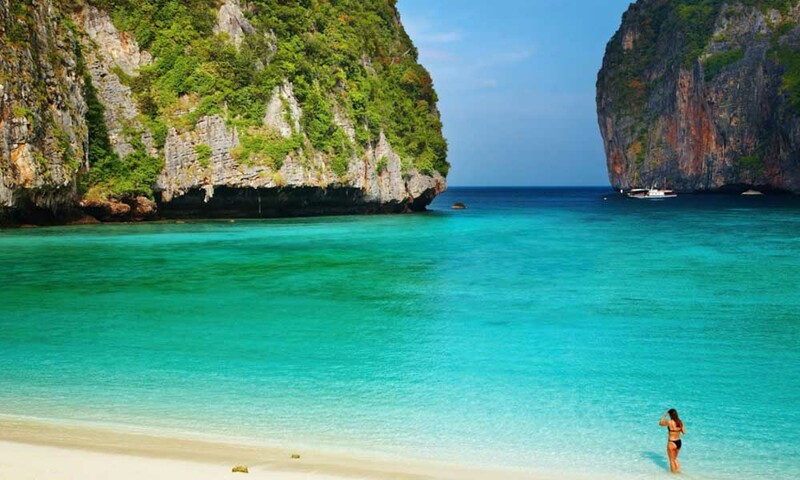 Phi Phi Islands (22 nm) famous for their vibrant nightlife and crystal clear waters. Climb up to one of the many lookout points for unparalleled views of the island’s beaches. You may recognise the breathtaking Maya Beach from film “The Beach” starring Leonardo Di Caprio. Visit the famous Monkey Bay and sail back to Nui Bay in time for the sunset and overnight anchorage. 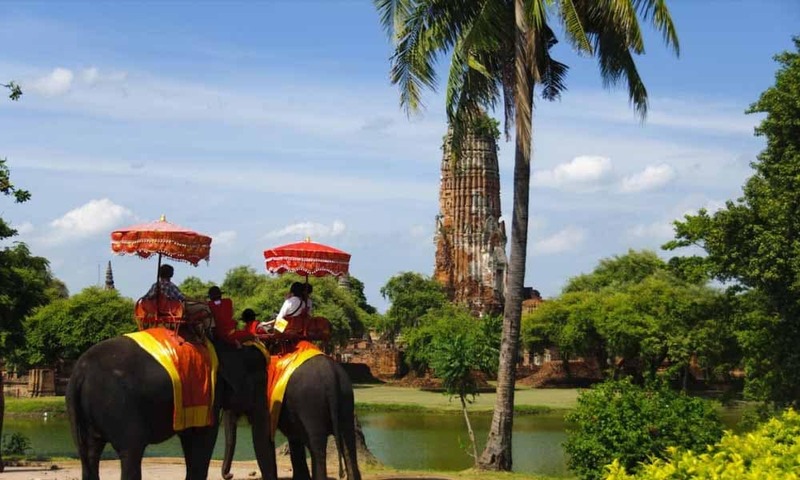 Ko Yao Noi (22 nm) discover the peaceful island on bikes, enjoy some rock-climbing or indulge in a traditional Thai massage. Ao Phang National park (13 nm) spreads across 400 sq km containing 40 islands. 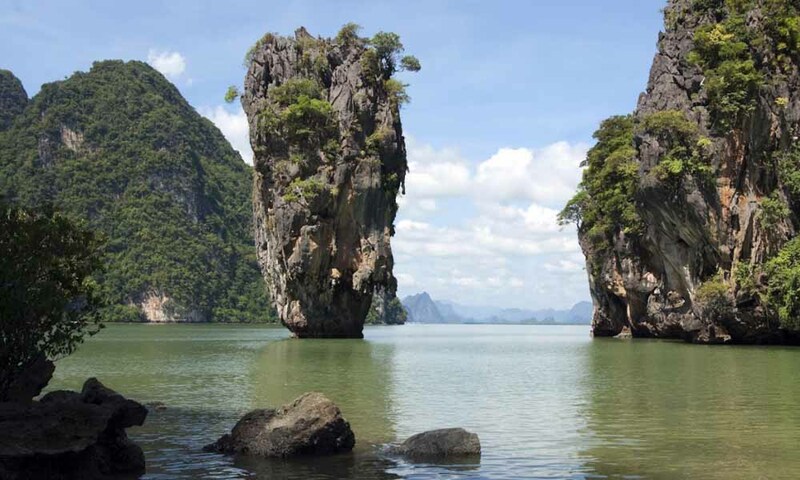 One of which, Ko Kan, is the famous ‘James Bond Island’ recognised from ‘The Man with the Golden Gun’. Visit the semi-submerged caves on Ko Phanak and Ko Hong. If you are an early-riser, explore the mangrove forests for some excellent exotic birdwatching. Return to Phuket Yacht haven marina. Disembark and transfer to Phuket airport. Our base in Thailand is on the north eastern tip of the island of Phuket. Cruising the waters of the Andaman Sea is recommended for more experienced sailors, with a three metre tidal range at times. From our base you can cruise the sheltered waters of Phang Nga Bay – home of the famous Phi Phi Islands, approximately 30 nm to the south-east of our base. The base in Yacht Haven marina, Phuket is a convenient and well equipped location for the start of your charter in Thailand.